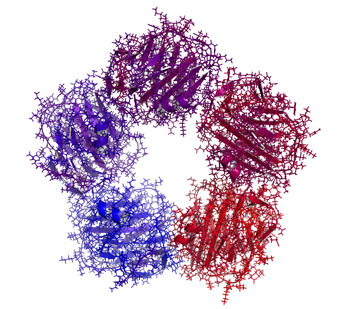 C-reactive protein, or CRP, is a marker or inflammation that has been linked to depression and other illnesses. People with high levels of CRP respond differently to medications than people with lower CRP, so assessing CRP levels may help determine which medications are best to treat a given patient. High baseline levels of CRP (3–5pg/ml) predict a poor response to selective serotonin reuptake inhibitor antidepressants (SSRIs) and to psychotherapy, and are associated with increased risk of recurrent depression, heart attack, and stroke. However, high baseline CRP predicts a better response to the antidepressants nortriptyline and bupropion. High CRP is also associated with better antidepressant response to infliximab (a monoclonal antibody that inhibits the inflammatory cytokine TNF alpha), while low levels of CRP predict worsening depression upon taking infliximab. High baseline CRP also predicts good antidepressant response to intravenous ketamine (which works rapidly to improve treatment-resistant depression), minocycline (an anti-inflammatory antibiotic that decreases microglial activation), L-methylfolate (a supplement that can treat folate deficiency), N-acetylcysteine (an antioxidant that can improve depression, pathological habits, and addictions), and omega-3 fatty acids (except in people with low levels of DHA). High baseline CRP also predicts a good response to the antipsychotic drug lurasidone (marketed under the trade name Latuda) in bipolar depression. In people with high baseline CRP, lurasidone’s positive results have a huge effect size of 0.85, while in people with low CRP (<3pg/ml) the improvement on lurasidone has a smaller effect size (0.35). In personal communications with this editor (Robert M. Post) in 2018, experts in the field (Charles L. Raison and Vladimir Maletic) agreed that assessing baseline CRP levels in a given patient could help determine optimal strategies to treat their depression and predict the patient’s responsiveness to different treatment approaches. At a 2018 scientific meeting, researchers Cynthia Shannon, Thomas Weickert, and colleagues reported that high baseline levels of CRP were associated with symptom improvement in patients with schizophrenia when they were treated with the drug canakinumab (marketed under the trade name Ilaris). Canakinumab is a human monoclonal antibody that targets the inflammatory cytokine interleukin-1 beta (Il-1b). Il-1b is elevated in a subgroup of patients with depression, bipolar disorder, or schizophrenia, and CRP levels are an indication of the associated inflammation. Patients with mood disorders and elevated lipids, cholesterol, or triglycerides can get several benefits by taking statin drugs. Patients with depression are at increased risk for cardiovascular disease, heart attack, and stroke, and statins can lower these risks. 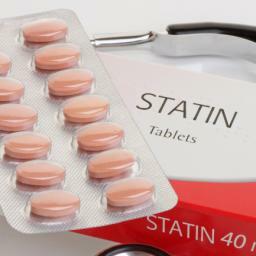 Statins lower cholesterol and triglycerides. Compared to women not taking statins, women taking this class of medications have a lower risk of depression. 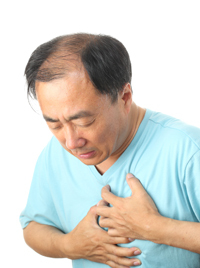 Men taking statins have a lower incidence of depression following a heart attack than men who are not taking statins. Several studies over the past two decades have suggested that statins can also decrease the incidence of Alzheimer’s disease, though a 2017 article by Julie M. Zissimopoulos and colleagues in the journal JAMA Neurology suggested the effectiveness of statins in preventing Alzheimer’s may depend on the race and gender of the person taking them. People with depression are at increased risk for Alzheimer’s. Editor’s Note: Given these many benefits, it may be a good idea for patients with depression or bipolar disorder and high lipid levels to talk to their physician about whether statins would be a helpful treatment for them. Research continues on pioglitazone, a drug typically used to treat diabetes but with other positive effects on depression and stroke risk. Some researchers are working on determining whether the drug increases the risk of developing certain cancers, including bladder, prostate, and pancreatic cancers. 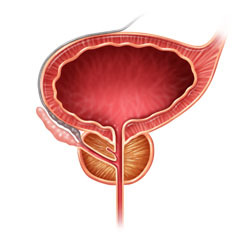 A recent study by James D. Lewis and colleagues in the journal JAMA found no statistically significant increase in risk of bladder cancer among patients taking the drug, but the researchers said they also couldn’t rule out that the drug may increase this risk, as has been seen in previous studies. The study by Lewis did show an increase in pancreatic and prostate cancers in patients taking pioglitazone, but the researchers did not determine whether this was caused by the drug. Another recent study by Walter N. Kernan and colleagues in the New England Journal of Medicine reported that pioglitazone reduced the incidence of stroke and heart attack in patients with a history of stroke or blocked blood vessels in the brain but without a diagnosis of diabetes. Patients who received pioglitazone also experienced side effects including weight gain, edema (an increase in fluids in the body’s tissues) and serious bone fractures. Pioglitazone has had positive effects in bipolar depression and may one day be used as a treatment for bipolar disorder. For now, it may be worthy of consideration for the treatment of diabetes in patients who also have bipolar depression. Depression is common following heart attacks, and it can complicate recovery. 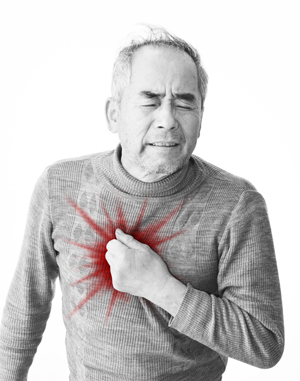 A recent study by Jae-Min Kim and colleagues investigated the safety of treating depression with escitalopram in people recovering from acute coronary syndrome. In a 2015 article in the Journal of Clinical Psychiatry, they reported that 217 people with depression and acute coronary syndrome were randomized to receive either escitalopram (in flexible doses ranging from 5–20 mg/day) or placebo for 24 weeks. Patients who received escitalopram saw more improvement in their depression on a variety of scales, and also showed improvements in social and occupational functioning. There were no adverse cardiac effects from escitalopram, though some people taking it did experience dizziness. A meta-analysis of 18 studies that was published by Donald Lloyd-Jones in the New England Journal of Medicine in 2012 shows that increasing cardiovascular risk factors during middle age can dramatically increase a person’s risk of experiencing fatal cardiovascular disease, fatal coronary heart disease, nonfatal heart attack, or stroke later in life. Data were analyzed from 257,384 patients, who included black and white men and women spanning a 50-year range of birth cohorts. The studies examined cardiovascular risk factors such as smoking, cholesterol levels, diabetes, and blood pressure at ages 45, 55, 65, and 75. Having even one risk factor at age 55 dramatically increased the lifetime risk of cardiovascular disease compared to having no risk factors, and having more risk factors during middle age increased risk even further. Among people with no risk factors at age 55 (meaning cholesterol under 180mg/dL, blood pressure under 120 mm Hg systolic and 80 mm HG diastolic, nonsmoking and nondiabetic), men had 4.7% risk of death from cardiovascular disease by age 80 (compared to 29.6% for those with 2 or more risk factors). Women had a 6.4% risk of death from cardiovascular disease by age 80 (compared to 20.5% among those with 2 or more risk factors). Lifetime risk of death from cardiovascular disease and coronary heart disease and risk of nonfatal heart attack were about twice as high in men, while risk of stroke was similar for men and women. Across race, trends were similar, but this finding can be misleading. While African-Americans have more cardiovascular risk factors than whites, they are also more likely to die at younger ages from other causes before developing serious cardiovascular illnesses. Large studies with Latino and Asian American participants were begun too recently to provide robust data about long-term risk, but this research is expected to become available soon. 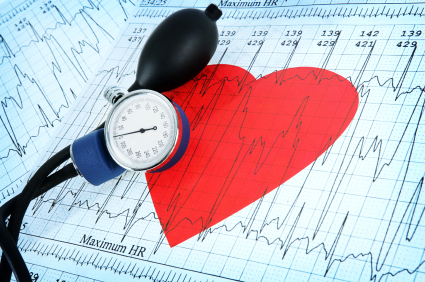 Editor’s Note: Watch your risk factors for heart disease, including high blood pressure, cholesterol, weight, and blood sugar. The more risk factors one has, the greater the increased risk of fatal cardiovascular illness. Depression is also a risk factor for coronary artery disease, and should be treated just as aggressively and persistently as the other risk factors. Exercise is one element of a healthy lifestyle that can positively affect all of these risk factors. Implementing a healthy diet and exercise regimen by middle age will have long-term positive effects in reducing risks in older ages.